The cornea is the transparent surface tissue of the eye, essential to keeping proper focus. When the cornea is injured, diseased, or defective, vision is seriously impaired. Corneal transplant surgery corrects this problem with the surgical placement of donor cornea tissue. 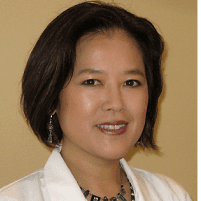 Dr. Jeehee Kim at Polaris Eye & Laser in Los Gatos, California is experienced with this procedure. Patients who suffer from conditions that cause permanent cloudiness or distortion of the cornea will often have poor vision or even blindness. This type of patient may be an ideal candidate for corneal transplant surgery. One common reason for corneal transplant is Fuchs' corneal endothelial dystrophy. Some people experience corneal edema after having cataract surgery, and a corneal transplant can be the best solution. Patients who have corneal scars due to infections within the cornea may also be good candidates for this type of surgery. People who suffer from keratoconus, a disease that results in major corneal distortion, often benefit from corneal transplant as well. Not every person is a good candidate for this surgery. 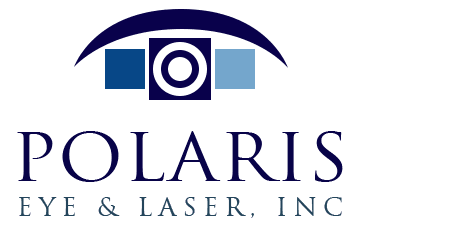 Dr. Kim at Polaris Eye & Laser will work with each patient to make sure that they understand their suitability for a transplant and will offer effective alternatives if corneal transplant surgery is not recommended. Where Does the Replacement Cornea Come From? The replacement cornea comes from a recently deceased registered or lawful donor. Every donor cornea is thoroughly examined and screened for disease and reviewed by Dr. Kim before being selected for a recipient. Details about the cornea donor are not available for privacy reasons. How is the Corneal Transplant Surgery Done? There are 2 different types of corneal transplants: Penetrating Keratoplasty (PK) and Descemet’s Stripping Automated Endothelial Keratoplasty (DSAEK). In PK surgery, a circular section of the old cornea (the majority of the cornea) is removed and replaced with the donor cornea. PK surgery is often used in cases where all the layers of the patient's cornea are diseased. The replacement cornea is secured with ultra-fine sutures. In DSAEK surgery, only the inner endothelial layer is removed and replaced because the patient's remaining corneal tissue is still healthy. This is often the corneal transplant surgery used for patients with corneal edema due to diseases that impact the deepest corneal layer. No sutures are used, as a specialized air bubble technique will secure the new corneal tissue. Because less corneal tissue is affected, the recovery from DSAEK is faster and easier. Dr. Kim is pleased to review these procedures with you if a transplant surgery is indicated.